A member of the imperial Roman nobility and brother of Crispian with whom he evangelized Gaul in the 3rd century. 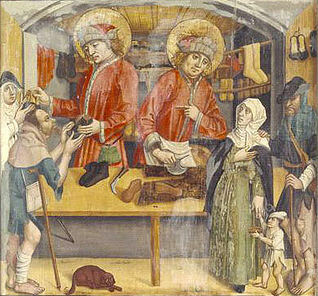 They preached by day and made shoes by night. Their charity, holy living and contempt of material things led to many conversions. They were martyred (tortured and beheaded) in Rome. A great church was built at Soissons in their honour.